Loctite 243 is designed for the locking and sealing of threaded fasteners which require normal disassembly with standard hand tools. The product cures when confined in the absence of air between close fitting metal surfaces and prevents loosening and leakage from shock and vibration. The thixotropic nature of Loctite 243 reduces the migration of liquid product after application to the substrate. 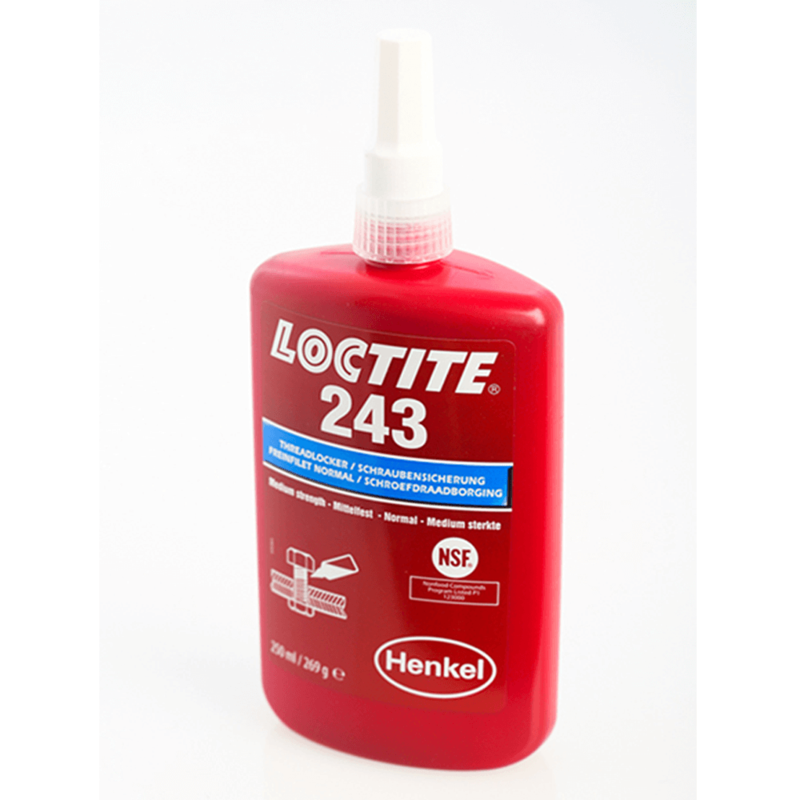 Loctite 243 provides robust curing performance. It not only works on active metals (e.g. brass, copper) but also on passive substrates such as stainless steel and plated surfaces. The product offers high temperature performance and oil tolerance. It tolerates minor surface contaminations from various oils, such as cutting, lubrication, anti-corrosion and protection fluids. Store in original containers at 8-21°C (46.4-69.8°F) and do not return residual materials to containers as contamination may reduce the shelf life of the bulk product.